By default, a drawing layer can be animated but you can disable this feature and render a specific layer to be still. Being able to switch your drawings so they can be animated or not has certain advantages. 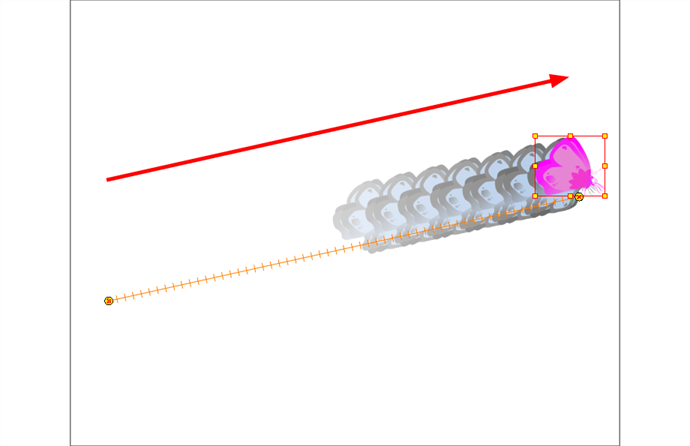 When selecting the element in the Camera view, the actual Drawing layer is selected, but the motion you will create will automatically be transposed to the Peg layer (if parented to a peg layer). This means that you can have access to the drawing substitution feature for this drawing layer, while being able to create keyframes on it's parent peg. This feature is also available for backward compatibility. 2. 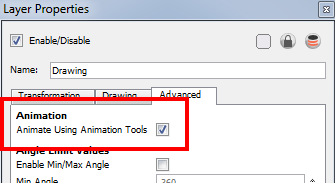 In the Advanced tab, deselect the Animate Using Animation Tools option.